Myself and my brother Sam started SBS boards in 2010 developing surfboard and SUPs. We had been surfers for most of our lives living on the south coast, UK, and loved anything to do with the water so I think naturally we gravitated towards making surfboards and SUPs as those were and our passions. 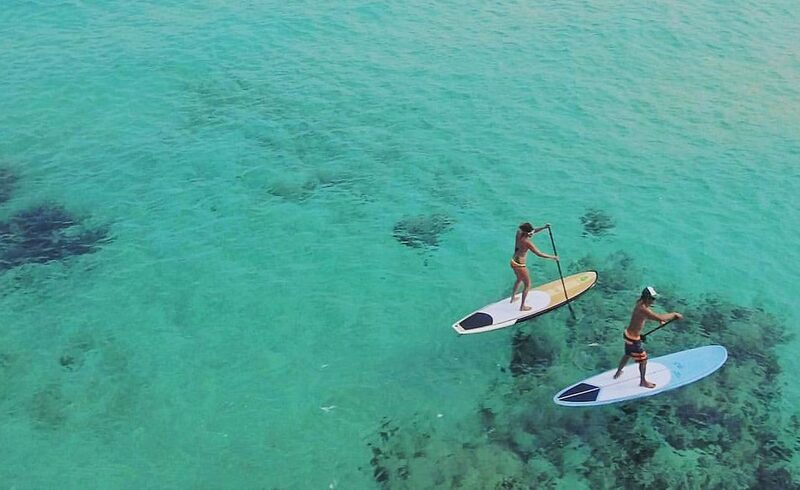 From the start we had some big dreams and ambitions with paddle boarding because it was still relatively new – we think we can do something different. Our main focus at SBS is to ‘dedicate ourselves to creating great performance/quality in the materials we use and shapes, throughout all our boards’. We got into stand up paddling in 2009 and liked the idea of being able to still have fun in the ocean when it was flat or windy. 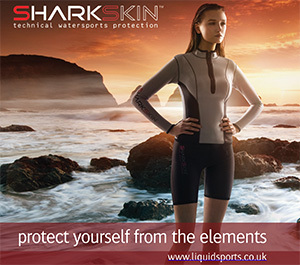 As a surfer, in the beginning, I didn’t think it looked cool but the more I saw people riding waves and getting airs on SUPs and doing radical manoeuvres the more it started to appeal to our nature. I learnt in Lanzarote on a flat day. I instantly fell in love with it – one of those moments where you feel this is going to be something I do for a long time and have ever since. Chartering a boat in the Canary Islands and paddling around smaller islands investigating undiscovered coves, looking for new potential surf spots that couldn’t be accessed by land and just being able to enjoy good waves and good friends is a great thing to do. As far as heroes go I think everyone has the classics like Kai Lenny or Connor Baxter who just aren’t human in terms of ability and fitness and are great role models for the sport. But some of my personal heroes are Dave Kalama and Laird Hamilton who really pushed the limits and helped progress stand up paddleboard and foiling to that next level in design and performance. Coming from a surfing background, and born from a love of all things ocean, it’s great to see those guys get stoked on whatever they are riding; whether it be wind, surf, SUP or surfboard they just love it and I think that’s something to aspire to. The Idea for our range came from the need to have a board that can suit a variety of abilities from beginner to competitive athletes, as well as be super fun to either race, surf or just paddle on the flat. We took a lot of inspiration from more traditional looks of the sixties style wooden surfboards as well as Formula 1 race car designs. You can see that with colour schemes of our pro range. I think it’s benefited our creativity to be involved with a lot of water sports from an early age. It’s given us a different perspective and a lot of inspiration. We could look at the way we surf on short boards and say I want to get that same feeling on a SUP or design a race or a downwind board that will give you that incredible feeling of speed. Keeps us going back to the drawing board with new ideas. We really wanted to create a range that would suit every ability of paddler and the conditions they find the majority of the time. After demoing a lot of performance boards we started making and designing allrounders for family and beginners – perfect for flat water and the surf. Then slowly progressing back to our original performance range. I think as a concept trying to make a range of boards perfect for every condition is a real challenge but one I think we have done pretty well with and will continue to improve. In the early days we made a lot of mistakes designing high performance orientated SUPs so only a handful of people could paddle them, but now we have a more refined range with beginner friendly boards all the way up to our elite level racers and surf SUPs. I think we have found the right balance in a lot of our boards with usability and performance in mind. We have to do a little work now and again! A lot of it is behind the scenes. On an average day we will spend a lot of time talking to customers, selling boards and giving advice as well as testing, designing and improving the construction and how each material affects performance. That interaction with each other is really exciting. A lot of time is spent testing and giving our boards to experts or reviewers and then making tiny adjustments to get the boards up to the highest level possible, then maybe some time for a quick paddle after that! I think the success that we have had has been down to making boards that we like to paddle and surf. Especially living on the south coast making boards that are fun on flat water, in wind and in the surf is always a challenge but one worth taking on. Also, I think listening to what real paddlers need has given us huge direction and focus. When designing a board keeping in mind who will paddle it and what its purpose is always helps us refine our design to make it better. I definitely see a huge shift and change in advancements with construction and technologies of boards to make them more durable, lighter and perform better in the ocean. 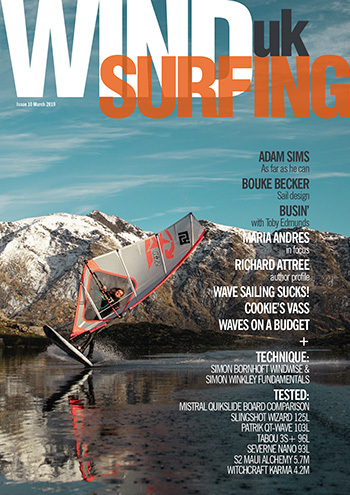 I also think foiling will take off massively. Six years ago I had a go on a prototype and there’s nothing else like that feeling, so I think that is an area of interest. But original stand up paddle board designs will still be a go to for most. We made inflatables a few years back with relative success. We decided not to spread ourselves too thin and really focus on what we were good at: making hard boards for performance in the surf, flat water and downwind. There are still plenty of opportunities to improve and it’s the area that we know best. Rest of the year we will mostly work on our newer performance boards for surf and race and go to a lot of competitions with our riders and see how they perform. We are also developing a range of bigger boards to help float heavier paddlers and a range of kiddy gear to help get the next generation stoked on SUPs. Moving forward we are and trying to spend a lot of our time on research and development, especially in construction technology. Trying to do something different and find stuff that hasn’t been done yet. Our most popular SUP is the Navigator. It has been fine-tuned over five years and we are really happy with it. We use it a lot as it’s just so stable, easy to paddle and catch waves on – just super fun to use with friends and family. The newest SUP kit is pretty good these days and I think year on year there is a real effort from a lot of the big companies to bring out something new and fresh. A lot of creative ideas being put into designs is exciting to see. It’ll be interesting watching what will come out in the next few years. I know for ourselves we are working on a 3-year project to really push what we can do with carbon fibre to try and create something really strong and light like never before. If we are paddling on the sea and getting a bit of distance in we go for the Long Bow race SUP as it’s just so efficient and moves quickly through the water. If we are out in the surf on the south coast we will probably use the Navigator or the Widowmaker as they are great boards to use in less powerful waves. If we see a good swell we would usually take our Widowmaker and Warbird pro surf SUP just because if offers the highest performance possible and sometimes feels like you can just surf it without a paddle (having tested it we concur, you can – ed). Our local spot is The Witterings, West Sussex, for surfing. There are a few spots that can be good for paddle boarders and even a few more lesser known locations out to sea that have some decent long waves. For distance we paddle around our home in Bognor Regis and Selsey as it can sometimes be a great downwinding spot and great training if the surf gets rough. We always try to get abroad a few times a year for video footage and testing but personally we like to go to our same spots in the south of France, Portugal and Fuerteventura. They are pretty consistent and we have a good connection with the locals. Dream destination is somewhere like Chicama, Peru. Just purely for surf perfection. The journey to get there would be incredible and I’m sure the scenery would be amazing. Who doesn’t want to get the longest wave of your life without too many others around? We would like to get a team together to do some epic journey or distance routes that have never been done before. A few ideas are floating about but we will have to wait and see if we can pull it off. Big thanks to all our SUP team riders, especially Narcy who has helped us massively over the years developing and fine tuning boards. Family and friends for helping us build our company, we couldn’t have done it without you. 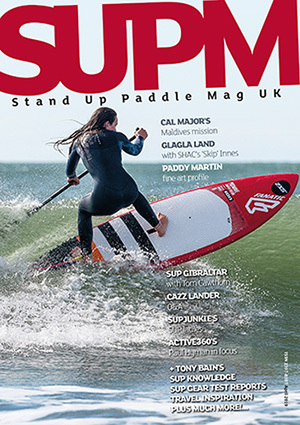 Big thanks to SUPM for giving us the opportunity to not only chat about our journey so far but also utilise incredible knowledge and feedback from testing our boards over the last few years – we are both truly grateful and really love the magazine’s support.